There is Refuge in the Lord – and in Brazil! What do you think a person would choose to study who wants to address issues of poverty, homelessness, prostitution and chemical dependency? Psychology? Social work? International development? One such man from Brazil named Marcio Jose Novais de Carvalho enrolled at the South American Theological School (SATS), Londrina, Brazil. Like the rest of the students at SATS, he chose to study theology because he believes that the Bible is relevant to every problem, every individual, every community and every country. Having a strong theological understanding and learning how to apply that is the key to addressing some of society’s toughest and longstanding problems. Marcio (also known as ‘Coyote’) was a tough character and not your average SATS student. Dr Antonio Barro, the Langham Scholar who founded SATS, says about Coyote, ‘He came with tattoos, piercings and a ponytail!’ It’s a pretty radical look for a person who shows up at seminary. But show up he did, and Marcio earned a Bachelors, followed by a Masters and a PhD in Theology. Marcio is now a Presbyterian ordained pastor and he runs a church and outreach ministry called Refugio. 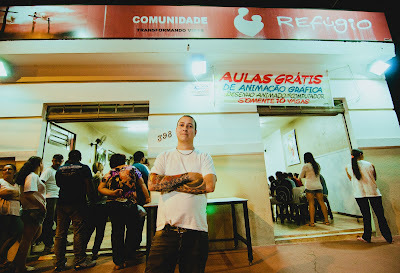 Marcio founded Refugio in 2000 with street evangelism and meetings in the garage of his parents’ house. With God’s direction, the work has grown to focus on people excluded from society such as prostitutes, transvestites, chemical dependents, at-risk children and homeless adults, among others. With innovative strategies and a new building designated for his ministry, he is focusing on prevention and recovery work with children and adolescents. Refugio has been on the local news and Marcio is gaining widespread recognition for his effective ministry and work with people who are truly on the margin. 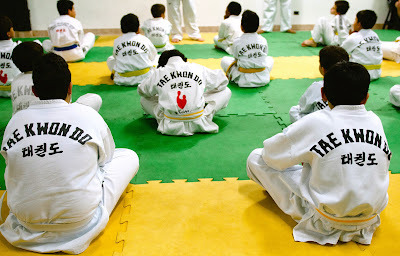 He recently invited a Brazilian Tae Kwon Do celebrity to provide training and inspiration for some of the Refugio kids. Langham Partnership could never be what Refugio is to these children. 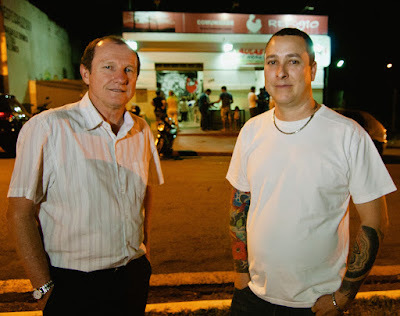 And yet, because Langham supported Antonio, who then founded SATS, who then taught Coyote, who now reaches out to the downtrodden, we are part of a very long chain that brings life and light to a small corner of Cambé, Brazil (near Londrina). Langham doesn’t know what Cambé needs, but Coyote does. And this is the beauty of our ministry’s multiplicative, widespread impact. Rather than putting resources into ‘on the ground’ infrastructure, we invest in leaders and resources for those leaders, like Langham Scholar Antonio Barro. This is our strategy: to equip the church for mission through the ministry of scholars and pastors who believe, teach and live by the Word of God. Antonio has led SATS to be a place where the Bible is not only taught, but where his students are strengthened to obey the biblical command to love our neighbor as ourselves. There are now over 500 SATS alumni serving churches, NGOs, and other Christian organizations in Brazil, Latin America and even other countries around the world. We wonder how many ‘Refugios’ there are, thanks to Antonio’s commitment to Christ.